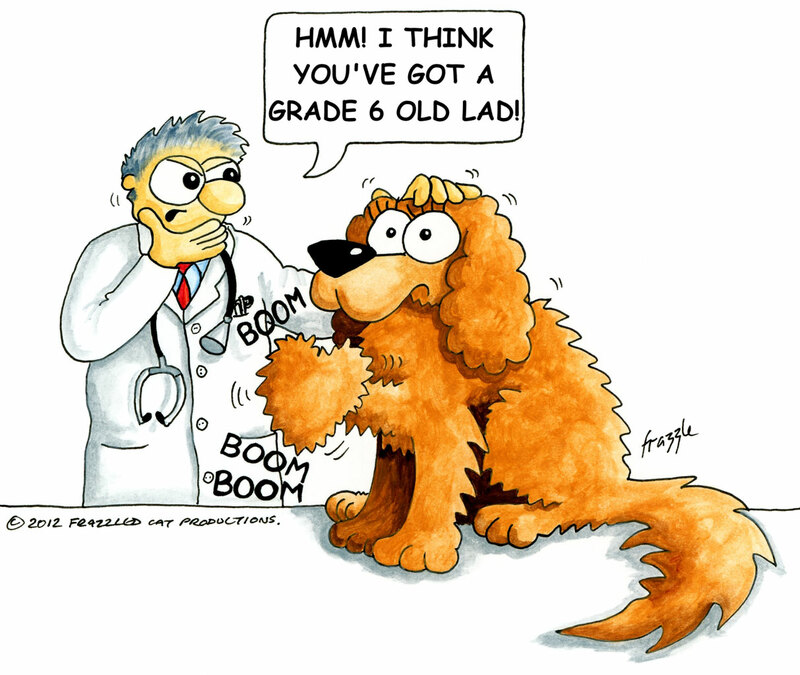 Once a murmur has been detected regular visits to the vet are important. Murmurs are graded 1 to 6 (see grading chart below). The grade, or “loudness”, of the murmur is only sometimes related to the severity of the heart abnormality causing it. Grading is subjective as it is based on the listeners’ interpretation of the sound. If your Cavalier is excited or anxious the rapid breathing sounds can mask or mimic a murmur. A trained Cardiologist can identify a grade 1 murmur whereas a grade 5 or 6 is more easily identifiable as the murmur is so strong that it can be heard through the chest wall (like water being sprayed against a sheet of cloth). If your Vet detects a heart murmur, a cardiologist needs to look at the size, shape and structure of the heart and watch the way it is beating and how the blood is flowing. This should enable the cardiologist to differentiate between innocent murmurs and leaky heart valves. This is done by performing an ultrasound examination of the heart (sometimes also called an echocardiogram or heart scan). Maisy was diagnosed with grade 1 MVD at age 5. She died of heart failure with grade 5 MVD at age 8. There is no indication at grade 1 and 2 how the disease is going to progress. 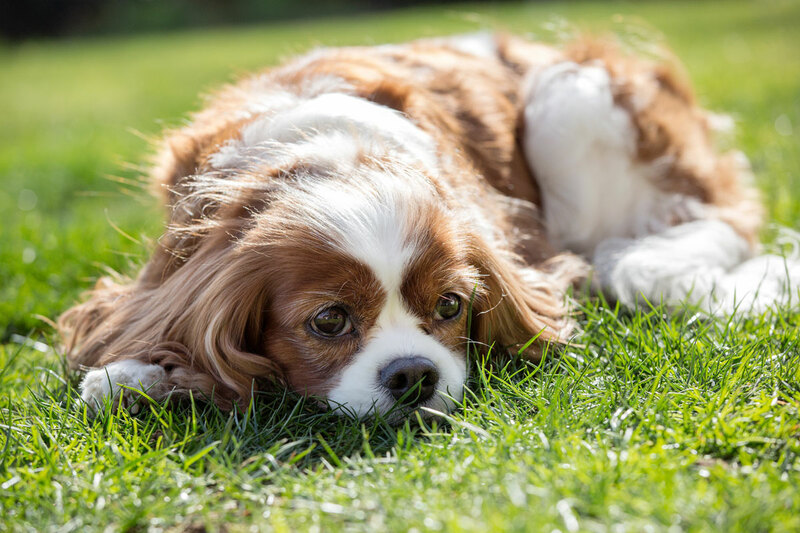 Some Cavaliers can live into old age with a grade 3 or 4 murmur. However, sadly, sometimes disease progresses rapidly through all the stages within one or two years. 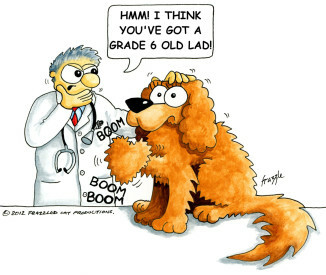 Initially don’t be alarmed but ask your Vet for a referral to a Cardiologist for a full set of tests and scans. This will set the baseline for treatment and future monitoring. Treatment will be based on whether your Cavalier has an enlarged heart which is very important. The scans and tests are not painful but may require your Cavalier to go into the practice for a few hours. If your Cavalier has an x-ray or an ultrasound and the heart is a normal size this is a good sign. It means your Cavalier has a lower risk of developing heart failure immediately. It is important to remember that MVD is a disease that gets worse over time. If your Cavalier’s heart is not yet enlarged, it is likely that your Vet will recommend he/she has tests repeated every 6-12 months to monitor how the disease is progressing.